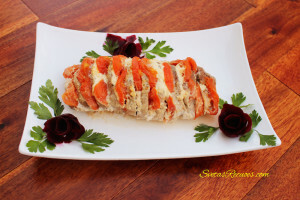 Juicy pork with a combination of cheese and tomatoes. Even includes garlic salt and lemon pepper. It’s also a first-class meal to serve. Ingredients: 1.) Wash and dry pork, tomatoes and parsley. 2.) Cut the majority of the meat but leave the end. 3.) 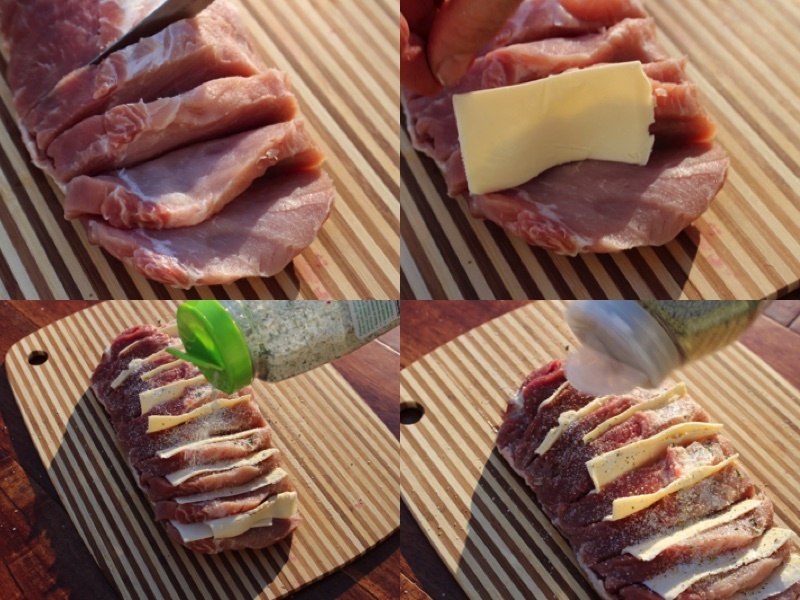 Place a piece of cheese in each cut. 4.) Sprinkle lemon pepper and garlic salt onto the pork. 5.) Slice all tomatoes into small thin pieces, place in each cut side by side with the cheese. 6.) Place it on tin foil and then wrap it over onto itself. 7.) On a baking pan bake at 350F for 1 hour. 8.) Take it out and cool it until room temperature. 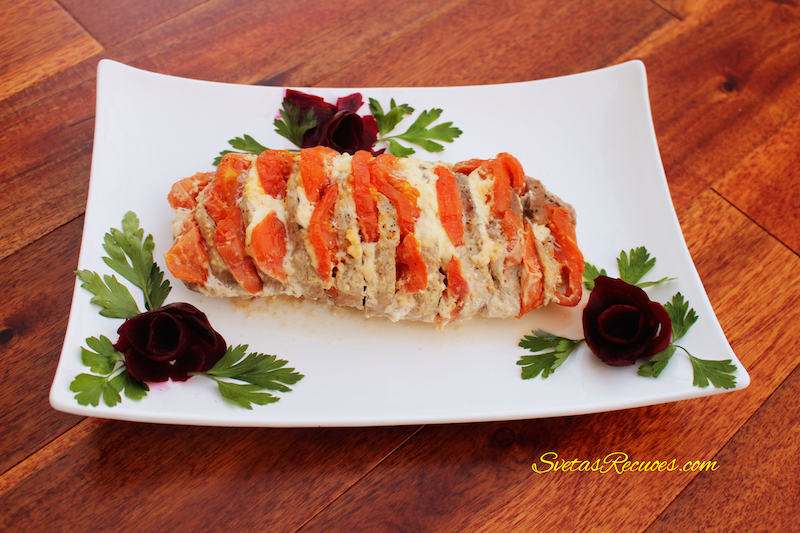 Juicy pork with a combination of cheese and tomatoes. Even includes garlic salt and lemon pepper. It's also a first-class meal to serve. 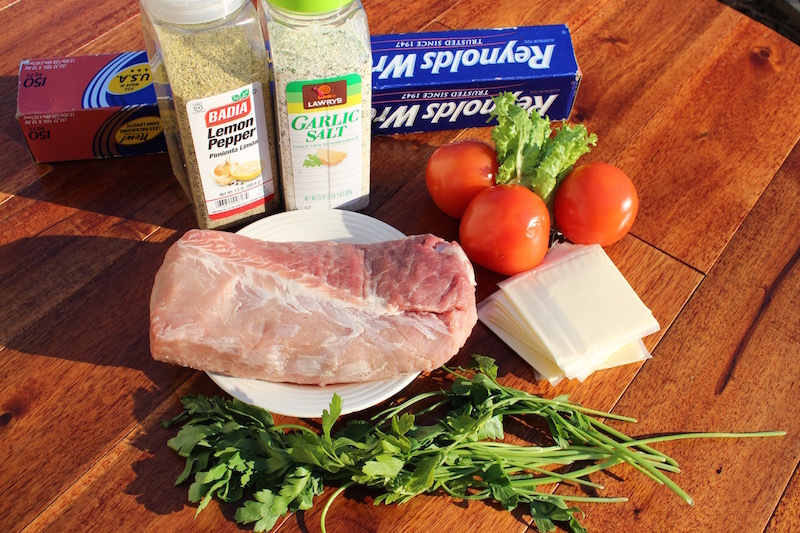 Wash and dry pork, tomatoes and parsley. Cut the majority of the meat but leave the end. Place a piece of cheese in each cut. Sprinkle lemon pepper and garlic salt onto the pork. 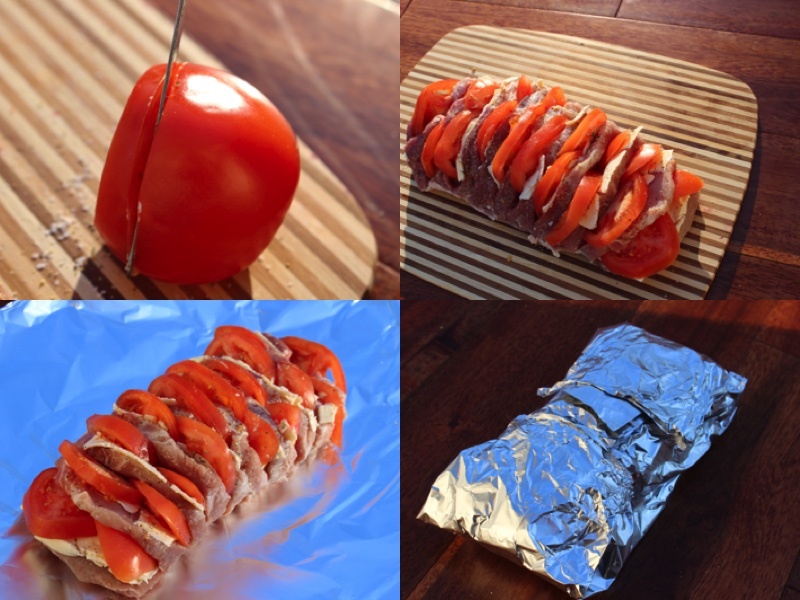 Slice all tomatoes into small thin pieces, place in each cut side by side with the cheese. Place it on tin foil and then wrap it over onto itself. Place it on a baking pan and bake at 350F for 1 hour. Take it out and cool it until room temperature.